Here is a small snippet to convert a vertex-animation into a joint animation. This comes in handy when you, for instance, simulate a piece of cloth in maya and want to import it in your game engine. This function creates a joint per vertex and uses the pointOnPolyConstraint (Maya 2012 or higher) to align them to the sim. 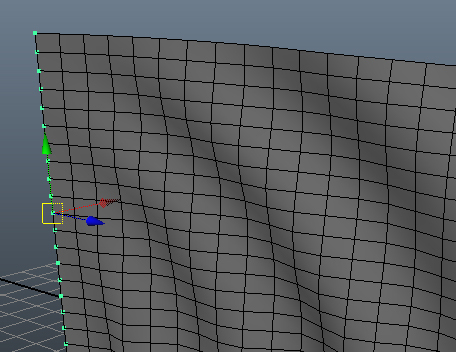 I love this constraint, its basically constraining in UV-space. For decent looking results, I simulate a hires mesh and wrap deform a lowres mesh for game export. From the hires simulation I then generate a texture sheet with normalmaps that will be used in a "texture atlas walk shader". Hopefully I can post more on that later. This solved a huge problem for me involving "Paint Effects". Thank you. I was trying for months to export pre-animated anemone and seaweed to Unity with no results. Also solved a speed tree issue, since it's direct SDK isn't compatible with Unity3D.